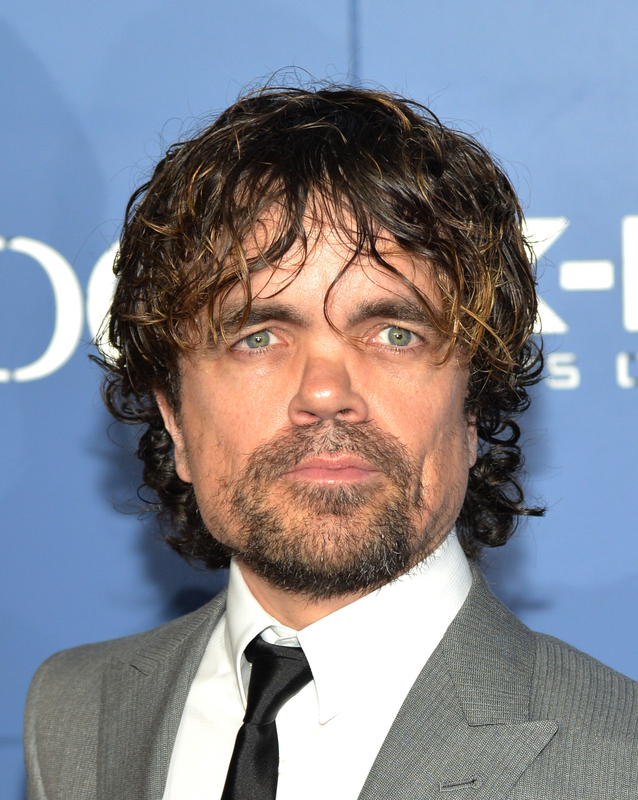 Peter Dinklage has a lot going on for him right now: he's got Game of Thrones, in which he just said the most epic mic-dropping speech ever, and he's also got X-Men: Days of Future Past, which is coming out pretty soon. But if you ask him if he's playing a villain, rest assured, he won't agree to that. Peter Dinklage says his characters aren't villains, and he's got a good answer as to why they're not. Even though his character in X-Men, Bolivar Trask, is a military scientist who makes the Sentinels, robots who are designed to destroy mutants, Dinklage wouldn't slap him with the label of "villain." Same goes for Tyrion — although, who could really call Tyrion a villain? Sure, he's a member of the hot-blooded Lannister clan, but Tyrion's a fan fave, and all of our hearts nearly dropped to the ground when Shae gave that devastating testimony against her lion. I wanted to argue with him about what he said: 'two villains.' This guy [Trask], sure, but not so much the other guy [Tyrion]. I've said that before, even regarding [Trask], and it was more a highfalutin actor thing of not judging your character or seeing him as a villain — 'I go back to the text.' Having not been asked for the next 'X-Men' movie yet, I go back to the text. [Trask] really believes he’s doing the right thing. He wants to save humankind worldwide, and at the same time, in the time of war — the Vietnam War, one of the worst wars in our recent history ... well, I guess they're all really bad wars — he thinks this is an opportunity to bring the world together. So it all comes back to how the character views the world around him. Further, all characters have objectives that they feel must be followed through, and even if those of us on the outside perceive these characters to be without a moral code, the characters themselves believe what they're doing is right. Acting. BAM. The word "villain," as much as we're tempted to use it, doesn't work for actors since it forces them to judge their characters. So, let's keep viewing characters like Planet Fitness: a judgement-free zone.